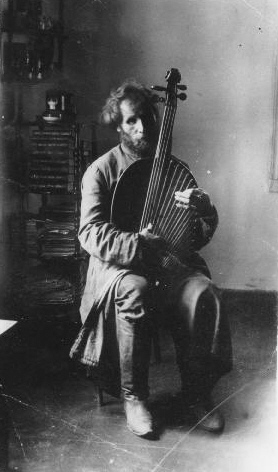 Kobzar Stepan Artemovych Pasiuha in his old age. Photo taken in 1910. Please note the difference in playing techniques between Pasiuha and Veresai.